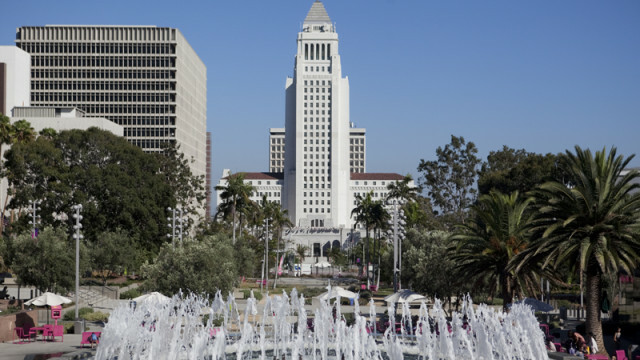 All of the carpets in City Hall and City Hall East may need to be ripped out due to a typhus outbreak in downtown Los Angeles, according to Council President Herb Wesson, who said a city employee possibly contracted the infectious disease while at work. Noting that typhus is typically spread by fleas that have been infected by rats, cats and opossums, Wesson also wants city staff to report on the scope of vermin and pest control issues within the Civic Center complex, according to a newly filed motion. Flea-borne typhus can cause high fever, chills, headache and rashes in people and can be treated with antibiotics. The disease can spread in areas where there is an accumulation of trash, but is not transmitted person-to-person, according to the California Department of Public Health. Wesson’s motion says there has been a “noticeable increase in the volume of rodents in the area and within city buildings,” and also referenced a recent report by NBC4, which featured a City Hall East employee who is convinced she contracted typhus in November through contact with fleas in her City Hall East office. The motion says that within two weeks, Wesson’s office was also experiencing fleas in the carpets, and removed all of that floor covering.